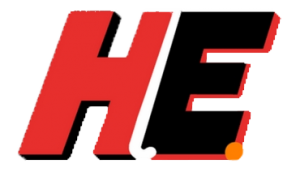 The Mentone Hockey Club is very pleased to have a relationship with local hockey retailer, Hockey Equipe. Never heard of them? Hockey Equipe are located at 467 South Rd Bentleigh and opened in November 2015. All Mentone uniform items and supporter wear are available for purchase from Hockey Equipe. Hockey Equipe manages the Club’s uniform services including ordering and stock controls and provide a retail presence enabling members to purchase uniform items at more convenient times. Hockey Equipe also stocks most of a players hockey needs, having distribution arrangements with Ritual, Atlas Crown and Osaka brands to name a few. For those looking for Hockey Victoria Merchandise items, these can be purchased at Hockey Equipe as well. When you visit Hockey Equipe say Hi to Greg Edwards and don’t forget to mention you are from Mentone!